If you plan a holiday in the near future to Madrid that is probably one of the best choices you can do as Madrid is among one of the most popular cities in Europe and in the whole world too. It is a beautiful city to visit and it offers several programs, activities and attractions to see on a vacation. There are plenty of hotels in every category to choose from. In this article will list the best three star hotels in Madrid. We have earlier written about the best five star hotels in Madrid. Read that article by clicking the link. The ApartoSuites Jardines de Sabatini is a three star hotel located in the heart of the city. It is in front of the Royal Palace and it is really close to the Plaza de España. The hotel has a beautiful roof top terrace where you can enjoy the best sight of the city and see the attractions from a different view. The rooms are big and for a fair price the cheapest room costs 85 euros and the most expensive one costs 150 euros. The hotel has some really good reviews on the different sites. Hostal Main Street Madrid is another popular three star hotel in Madrid. The Hostal Main Street has a great location on Gran Via and easy access to everywhere in Madrid. The hostel is really close to the best shops, venues and to the attractions such as the Royal Palace in the city. There is free wifi available in the hotel and under three years old it is free. The rooms are big, bright and clean and come with separate bathrooms and the hostel has a nice environment with a friendly crew working there. The Hostal Main Street Madrid is highly recommended. The last hotel from our list is Hotel One Shot 23 which is another three star hotel in the central of Madrid. The location of the hotel is perfect, it is just right in the heart of the city with a great access to the most visited parts of the city. The hotel is based near Prado in central Madrid. The hotel apart from having a good location also has a really nice atmosphere. The hotel has 43 rooms and they designed the style of the rooms modern. The rooms are available for a friendly price, the cheapest rooms start from 75 euros. 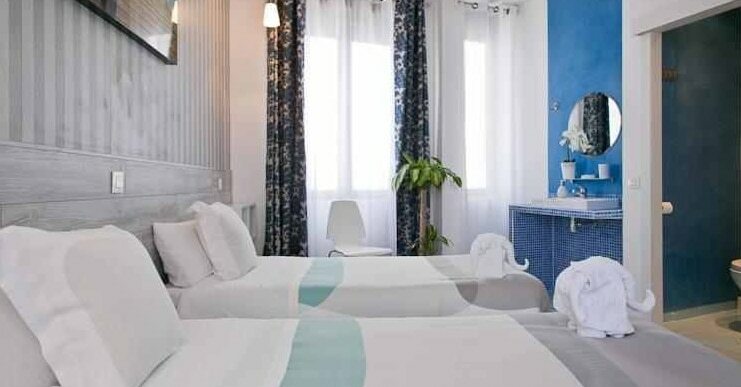 Our personal favorite is probably the Hostal Main Street Madrid, since it not only has the perfect location, free wifi, clean, large rooms with a lovely design, but also the rooms are for a good and fair price. But, if you prefer ApartoSuites Jardines de Sabatini or Hotel One Shot 23 instead, go for it! 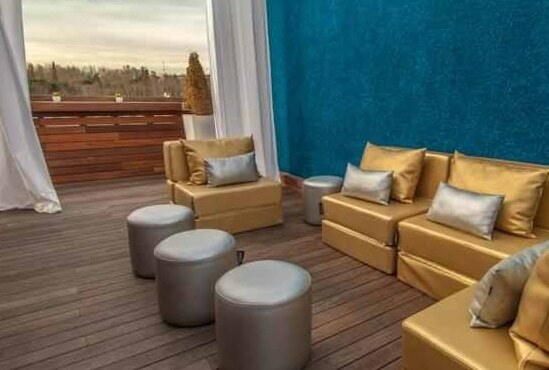 If you want to know more of the best three star hotels in Madrid and if you want to book your room in one of the hotels check the following site and book your rooms now.